1. The last time the U.S. won a World Cup was in 1999. The U.S. won the shootout 5–4 after the game against China ended in a 0–0 tie. The men's soccer team has never won a World Cup. 2. In 1999, we liked our shirts loose, our pants looser, and our bucket hats flipped up. 3. Brandi Chastain introduced the world to Nike sports bras. 4. Destiny's Child was made up of Beyoncé and three randoms. "Bills, Bills, Bills" was at the top of the charts. 5. 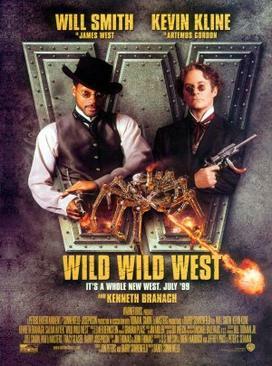 We all had to go see this Western starring Will Smith, Kevin Kline, and a giant fire-shooting mechanical spider. 6. Woodstock '99 went down in flames. 7. Lance Armstrong had just won his first Tour de France. 8. The last checkered taxicab drove through the streets of Manhattan. 9. George W. Bush, Texas governor and the former president's son, had just announced his candidacy for presidency. 10. Teens everywhere were learning what an American Pie feels like. 11. Nicole Kidman and Tom Cruise were still together. 12. Most of us had to listen to this sound before we could get on the internet. 13. The world population had just reached 6 billion. 14. The Euro had just debuted in the European Union. 17. Belly shirts were innie. 18. Tweens were working body glitter. 19. 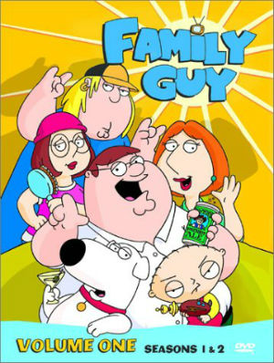 Some people were watching the first season of Family Guy. 20. Britney Spears made knee socks a thing. 21. American kids didn't know what happened to Harry beyond The Chamber of Secrets. 23. John F. Kennedy Jr., son of the late President John Fitzgerald Kennedy, died in a plane crash. Kennedy was the pilot, and his wife and her sister were also on board. 25. Kiernan Shipka of Mad Men was still a fetus. 26. The first BlackBerry, with limited internet browsing, was released. 27. Furbies were for all the kids who couldn't have dogs. 28. We all watched this horror movie about a girl who didn't have a selfie stick. 29. In 1999, "taking the red pill" only referred to The Matrix. 30. A man named Tom Green had a show and a No. 1 hit. Ugh, so much has changed. Methinks it's time for another World Cup. Right, ladies? Catch USA vs. Sweden on Friday, June 12 live at 8 p.m. ET on Fox.